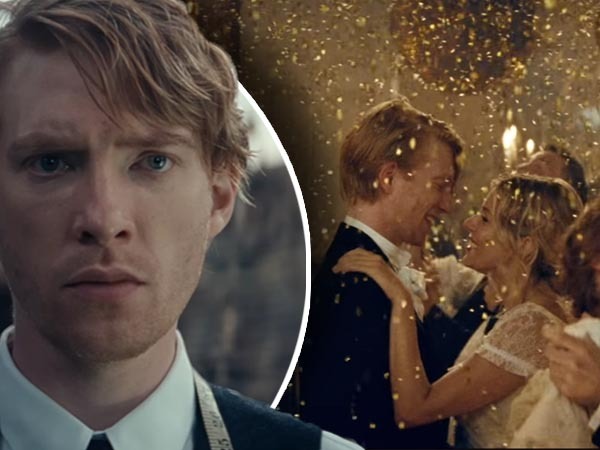 Lily James, Sienna Miller and Domhnall Gleeson all star in the heartrending clip. A clever new video ad by British fashion brand Burberry has viewers clamouring for the three-minute clip to be made into a feature film. Made ahead of the Christmas season and to coincide with Burberry’s 160th anniversary, it tells the story of the label’s founder, Thomas Burberry, who started his fashion empire creating trench coats for the soldiers during World War I.
Domhnall Gleeson (who played General Hux in Star Wars: The Force Awakens and Billy Weasley in the Harry Potter films) takes on the title role of the dapper and charming Thomas Burberry while Sienna Miller plays his wife. Dominic West (of The Wire and The Affair) stars as his friend, polar explorer Ernest Shackleton while Lily James of Cinderella fame plays the role of a pilot based on famed British pilot Betty Kirby-Green. Asif Kapadia, who directed the documentary, Amy, about the late singer Amy Winehouse, last year, directed the lavish ad. Watch the ad to see what all the fuss is about.